I was in Nairobi, Kenya, at the end of April participating in various happenings across humanitarian response spaces. From interactive gameplay to resiliency indicators, here's how we focused attention on frontline communities through digital means. I attended the 9th International Conference on Community-Based Adaptation (CBA9) with the Red Cross/Red Crescent Climate Centre in Nairobi on April 24-30. I was there to facilitate a game which simulated the citizen reporting of water resource status and distribution in an area to better inform allocation. The game stems from Taarifa, a free software project that has been widely deployed to collect, visualize, and map infrastructure information. The Climate Centre is well known (and appreciated) for their distillations of complex climate, environmental, and social systems into fun-to-play games, which are available on their website. After a week on the road, JC and I are back from this year's first California Training Roadshow. We ventured from the Bay to Bakersfield, then continued on to Los Angeles where we met Misty and hosted two interactive events with local nonprofits and organizers. 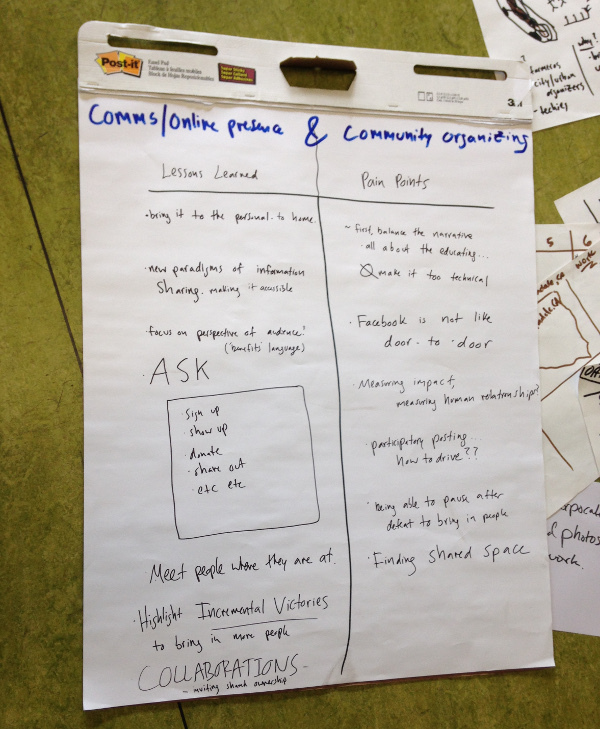 To kick things off, fifteen people joined us on May 6th for the Social Justice Technology Skillshare. 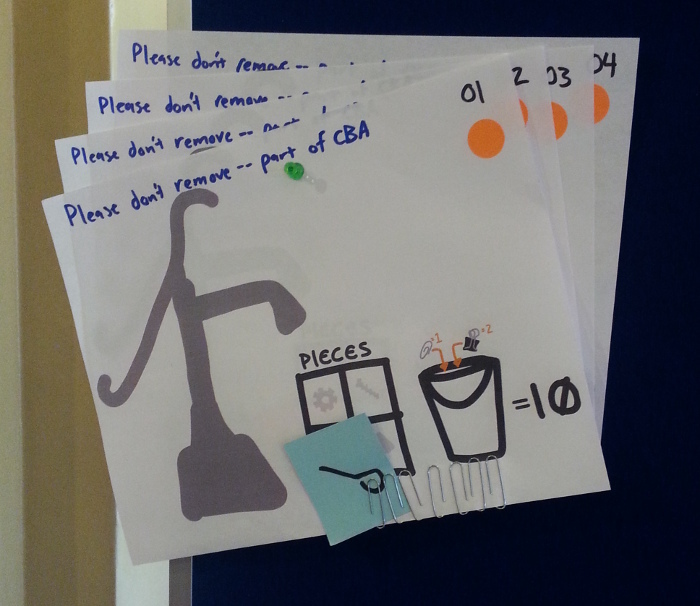 We started the day by creating a mind-map of what topics to address and questions to answer. An interesting distribution of topics emerged compared to previous years. 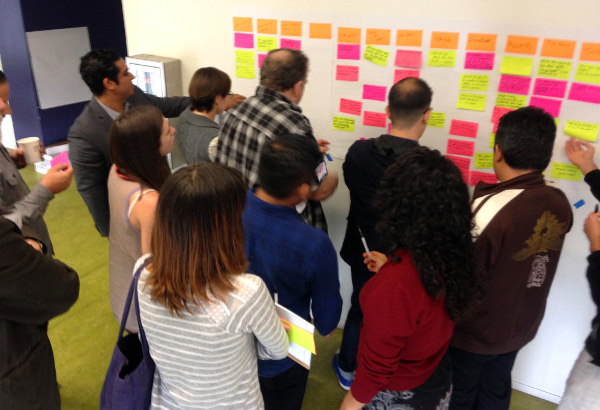 In early May, a few of us ventured down to Los Angeles to host a Social Justice Technology Skillshare. In one of the sessions, we explored what people learned while doing communications in service of community organizing efforts. How can online communications move beyond one-way broadcasting, and instead support conversations and relationship-building in service of organizing efforts? Realizamos nuestro primer entrenamiento en español el 8 de mayo, del 2015, en Los Angeles, CA con IDEPSCA. El entrenamiento se enfoco en cubriendo comunicaciones en linea para organizadores comunitarios. Hablamos de los diversos canales de comunicacion, temas como el tono y evaluacion de audiencias, y luego los procesos vinculados a los objetivos estratégicos de la organización. "The very way we deliver aid perpetuates the need for more aid... When people need lodging after a hurricane, they're either told to evacuate and/or they're put into temporary homes, away from neighbors and family. There is little impetus to return and rebuild both social and tangible structures. People are uprooted, and must start from scratch. When, instead, we see that people don't just need lodging but in fact need social fabric, responders (and the technologies used for response) can focus on how to maintain family and neighborhood ties." 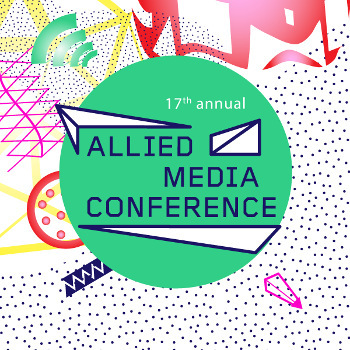 Nothing signals summer like the Allied Media Conference in Detroit, happening June 18-21! The AMC convenes thousands of people doing transformative work at the intersections of media and communications, art, technology, and social justice. We are excited to be a part of the workshops, dialogues, and emergent festivities of the 2015 AMC. Misty and I are looking forward to collaborating with Beatrice Martini, Jack from Palante Tech, and many others.